Model: The locomotive frame is constructed of die-cast metal. The locomotive has a DCC-Selectrix decoder and a 5-pole motor with a flywheel. The headlights change over with the direction of travel. 4 axles powered. Traction tires. The cars have close coupler mechanisms. The set includes a switched mode power pack and a wireless infrared controller. The oval of track includes Radius 2 curved track. Space required: 110 x 50 cm / 44" x 20". 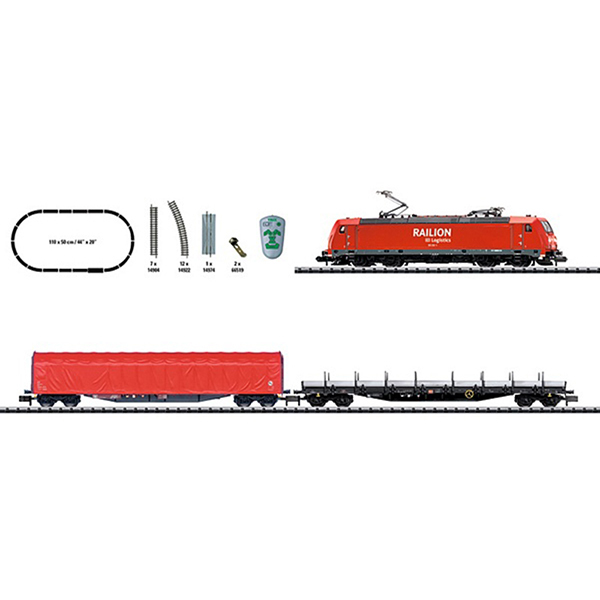 Total length over the buffers for the train approximately 366 mm / 14-3/8".